These issue of Aldrin Cudia became viral and it has made a lot of people react on it. 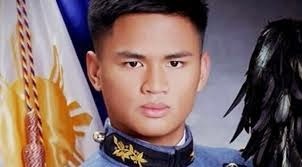 The cadet didn't graduate due to his violation in the Philippine Military Academy’s honor code, specifically OJT, this is according to PMA's Commandant of Cadets Col. Rozzano Briguez, stressing the fact that though the cadet will be acquitted of his case, he still needs to comply with school requirements in order to graduate. We have known that the cadet Cudia has acquired 11 demerits and 13 hours of touring or walking on grounds because of being late for two minutes in class. Because of this, the cadet has appealed for his case and investigation was done by the PMA’s Honor Committee. An investigation also pushed him harder because another case which is lying is filed against him. He said that the reason why he was late is that his professor dismissed the class late. According to the investigation, the professor that Cudia mentioned did not dismiss late in fact, he was asked by the professor to wait for a document after class. Because of this, the violation of the said cadet was worsened that became a ground for his not being able to graduate. Because of what happened, the family of the cadet named Aldrin Jeff is constantly appealing for his graduation. There are even claims from the family that one of the members of the honor committee for the preliminary investigation is a contender of Cudia for an award and they are looking at this as something that might affect the investigation. They are even claiming that it was a conflict of interest. If Cudia will be removed, he will have Cudia’s rank in the Navy group. This case went through a lot of discussion online and even in the television. Do you think the PMA has decided right on the issue? Or is there any mistake? You are free to express your opinion. Should Cudia be allowed to graduate or not? We will have a good discussion below if you will leave your comment.